The EUR/USD pair has broken through the 1.1585 level and cleared the way for a further rise to reach 1.1689. Today the market is forming yet another confined consolidation range. If the price breaks the range from bottom upwards, the pair can possibly move to the target level. If the lower edge of this range is broken through, a downward move towards 1.1635 in form of a correction is possible. 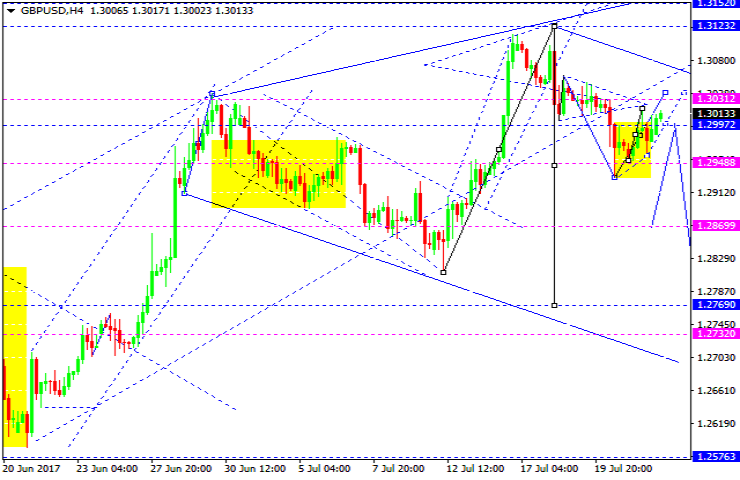 The GBP/USD pair is trading within a rising structure towards 1.3035. Then we'll take into account a downward move towards 1.2985. The above levels will form a consolidation range. If this range is broken through from bottom upwards, a possible rise towards 1.3150 is possible. If the lower edge of this range is broken, a further level 1.2870 can be reached. 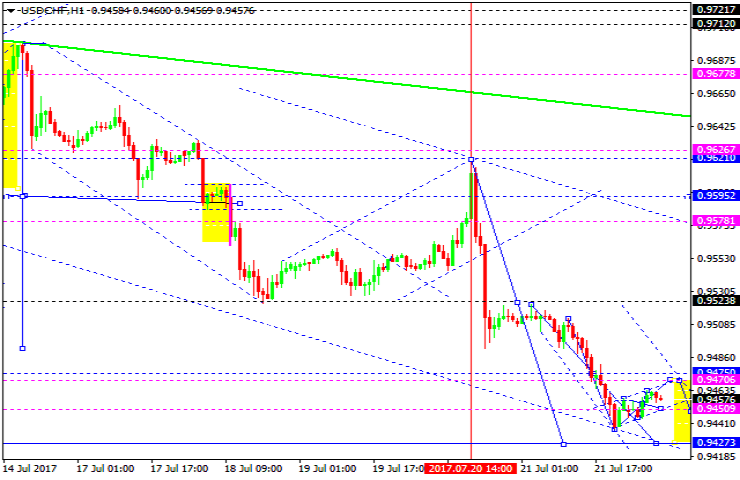 The USD/CHF pair has broken the 0.9650 level and cleared the way for a further downward move towards 0.9427. Currently the market is trading at 0.9471. Then we'll be expecting a downward move. 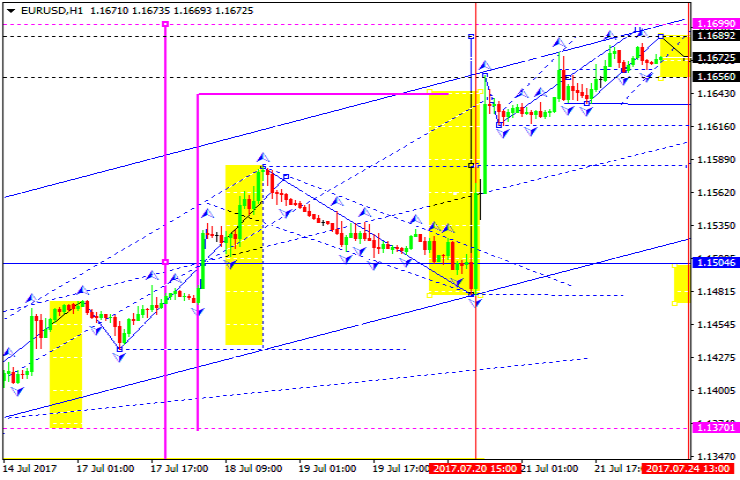 Another scenario is an upside move towards 0.9475. The above level will form a new consolidation range in our opinion. If this range is broken through from bottom upwards, a rise towards 0.9530 can be expected. The USD/JPY pair keeps developing it descending wave. 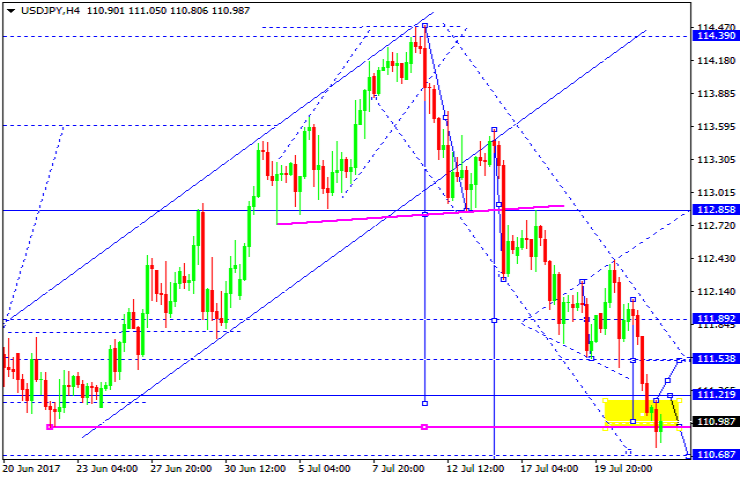 If new lows are hit, the pair can move lower towards 110.68. Another possible scenario is an upward move towards 111.59 as part of a correction. Then the pair can lower to reach 110.19. The AUD/USD pair keeps trading within a consolidation range near 0.7920. A downward move towards 0.7852 is expected. The pair can also rise towards 0.7920 level. If this range is broken from top downwards, the 0.7700 level can be hit. 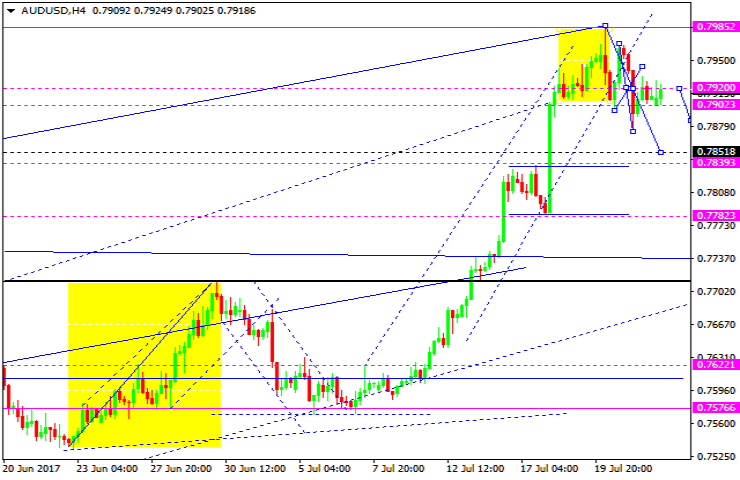 In case the upper edge of the range is broken, the 0.7985 level can be reached. The USD/RUB pair is trading in the middle of a consolidation range. 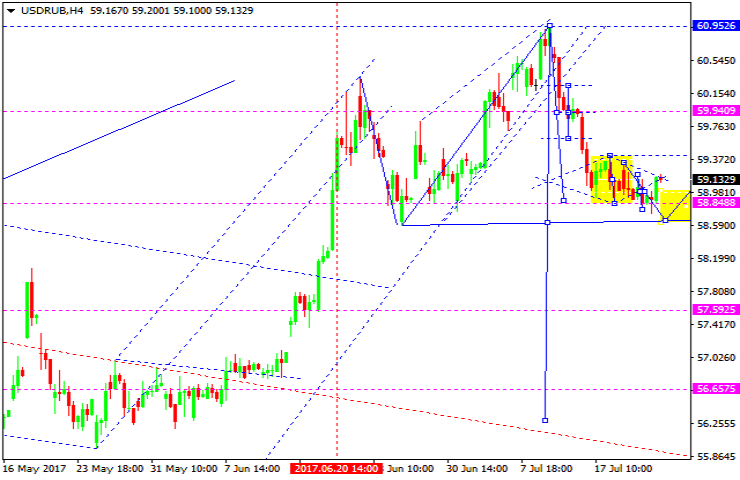 In our opinion, the basic scenario for the pair is a correction move towards 59.94. Another option is a third descending wave towards 57.60. 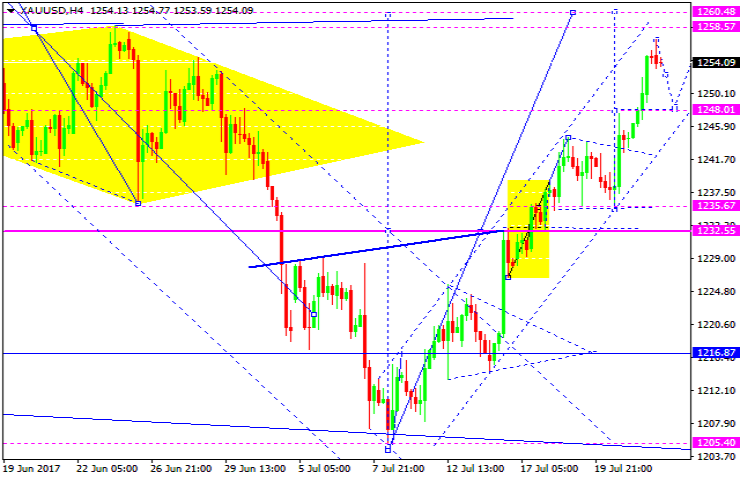 Gold is trading within a rising structure towards 1260. For today it is possible that gold goes lower towards 1248. Then the pair can rise to reach the target level. After that, the pair can lower to reach 1236. Oil is experiencing a correction move towards 47.40. For today we'd consider the level 47.90 to be reached. Then a rise is possible to reach 48.83. Then the pair can move lower to hit the target level. 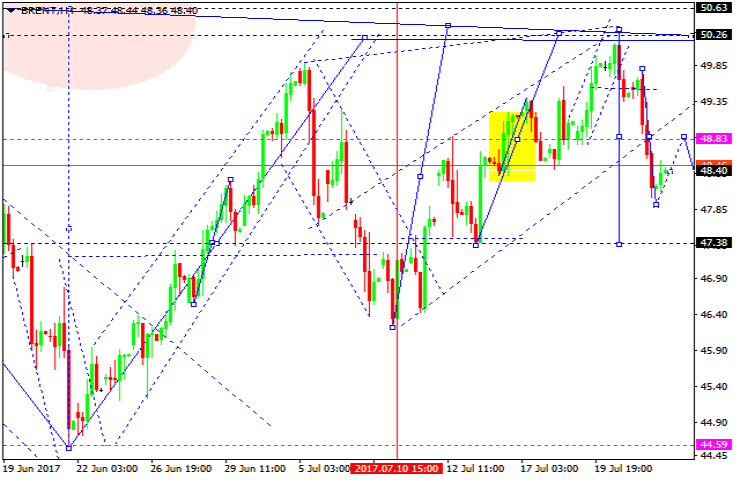 Another possible scenario is a rising move to reach 50.65 level.